After a week that saw many Blades fans frustrated and disgruntled at the lack of transfer activity for a side seemingly a long way from automatic promotion; the home side once again disappointed in a defeat to Wigan Athletic. The game was a cagey affair for much of the first half with both sides only creating half chances but after the break the visitors upped the tempo and played considerably higher up the pitch. This improvement saw them win a penalty after a daft challenge from Chris Basham and Will Grigg converted. Loanee Connor McAleny then scored from the edge of the box after neat build up. After this the game was effectively over and Athletic could have made it even more comfortable as another stupid challenge gave them another penalty but this time Long was able to save. By the final whistle many in the ground had left Bramall Lane; those that remained gave out loud and lusty boos to voice their disapproval. With none of the ‘owners/chairman’ in the ground and manager Adkins cutting a forlorn figure, the apathy around the club is clear. United are now almost certainly not going to get automatic promotion and even a playoff place seems unlikely with such poor form and the side slipping down to tenth in the table. Despite the talk of some boycotting the game and the ill mood displayed on social media in the week; the Lane still had over 20,000+ inside it once again helped by a healthy Wigan following. In weather reminiscent of that witnessed when the two sides last met when David Unsworth consigned the Blades to relegation; the rain lashed down on a surprisingly excellent surface. Still whilst the new pitch has done its job; the collection of players who had failed to deliver much of the season were entrusted with the job of trying to get the vital three points. Basham came back into the side and Adkins had Campbell Ryce, Done and Adams as attacking options off the bench. The game began scrappily and few real moments of quality. United had a half chance when Sharp shot wide after Baxter and Coutts had worked an opening. Baxter then tried a cheeky chip that drifted just wide. These two moments were the only real notes of activity for United as an attacking force but Wigan created little the other way. Wildschut did have a good chance but spooned over before Power shot wide after good work from Grigg but the game lacked quality and was mired in midfield with the rain lashing down. The second half saw Sammon replaced at the break by Adams with Baxter going inside playing off Sharp and the latter had a good shot saved by Jaaskelainen as United finally had a shot at goal. Wigan also had their first shot at goal when Wildschut got in after a nice break but his powerful shot was tipped over by Long. Wigan were playing with more purpose now and getting men forward. Wildschut raced forward and got away from two United players before Basham brought him down as he entered the box. The penalty kick was rightly awarded and GRIGG hammered it down the middle to give Athletic the lead. Not long after it was 2-0. This time a sloppy throw saw Wildschut and Power moved it on and MCALENY took a touch before drilling a low and hard shot past Long. It had been a quick fire double and a disastrous spell for the home side. United looked a dispirited bunch but they did have a chance when McEveley got in from a neat move and shot just wide on the overlap. However it should have been 3-0 when McCann was tripped again going nowhere; this time from Coutts but Grigg’s kick to Long’s left was well saved by the keeper. Campbell Ryce and Done came on and the Jamaican winger had two good runs to bring some life to a poor home side. Other than an Adams shot wide and a scrambled effort when Sharp could not convert the verdict was never in doubt and drifted out to its inevitable conclusion as boos rained down on the home side as they left the field. United – It was really poor again. First half neither side impressed and it was mired in midfield much of the game. WE had a few half chances but nothing clear with none of the midfield trying to get into the box, Sharp trying his best but Sammon a spectator. We limited them to many chances at the back though and at least the defence looked more solid. You wanted them to step up second half and up the tempo and get more men forward. Well when we did come out – Wigan been out ages warming up and zipping around – we laboured onto the pitch and looked cold from the start. The reality was it was Wigan that did that and we sat back and they scored two goals. Stupid penalty given away and then from our own throw managed to lose a second with nobody closing down the scorer. After this they nearly had a few more and we looked a sorry, beaten bunch. One of the poorest (maybe the poorest) United sides I have ever seen. That is for ability, effort, heart and attitude. The latter two qualities should be a given but this side generally cannot be arsed. They don’t care. They may say they do but the reality is watching players run away from ours and them sometimes not even chase back says it all. We barely looked like scoring all game and there was nobody in the side galvanising them and trying to get them together or surge forward. When the goals went in it took an age for the ball to be respotted and the body language was of a side that looked like they wanted to be on the beach in the summer. That sounds ridiculous when we are only 5 points off the play offs but I have zero faith this side can go on a run and somehow get in the playoffs and then go up. 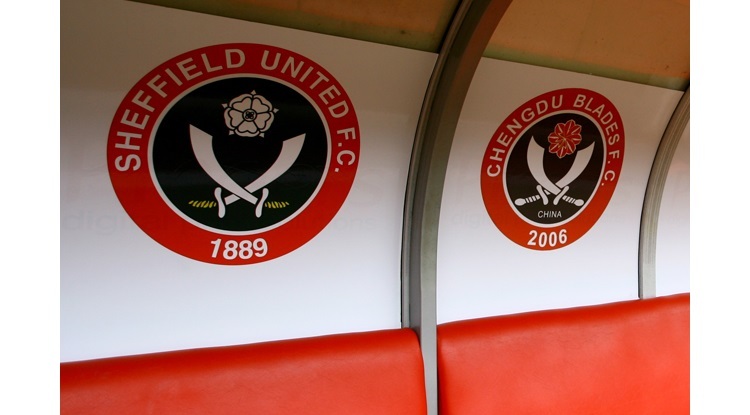 They look a mid table side and many as individuals are playing out their final few months as an SUFC player. It has been a long time coming for many who are in affect stealing a wage and have been for some time. Defensively we were better today but still gave away two goals (should have been 3) but the other way we were slow, lethargic and took way too long to decide what to do. Hammond and Basham offer nothing to the side at all. They are two big lumps who are not physical but not skilful. They are nothing players. The two lads at the side are not wingers but Baxter and Coutts as much as they may play odd decent ball are liabilities defensively and in terms of work rate and it is hardly like they do much the other way either to compensate. Collins and McEveley were two of our better players. I am being serious. Brayford has sunk to low standards of rest of them. We have three attacking outlets on the bench in Campbell Ryce, Adams and Done who may not be great but at least 2 of them have to play. They cannot do any worse than those playing. Today whilst game was even you felt there was an inevitability they would get one and once they did; we imploded soon after. We were 2-0 down and on several attacks we did not have more than Sharp in the box. Nobody even wanted to try and score a goal or have a shot. Cries of ‘Attack, attack, attack!’ did not change anything and even though subs came on, the game just drifted to a comfortable away win. We are not going to go up and I don’t think we have any chance of the playoff places. I think in a few weeks we will see that and just have to make sure we don’t get sucked into the other end of things – even I cannot see that happening. After this point where we are stuck, we need to not play any of the players going to be released or the loan players and play the likes of Wallace, Adams, Done, Brayford, Sharp, Coutts – ones that will be here next season probably and give some of younger players a chance like Calvert Lewin, even Reed (don’t think he will make it but he is under contract so may aswell give him a run) and Wright. At least crowd might get behind them. There has been a lot of talk over the inactivity in the window. This to me is not about this window but years and years of gross mismanagement of the club at boardroom level. If this was any other business, the CEO, chairman, whatever they are called would have been dismissed a long time ago. Dreadful managerial appointments season after season, selling best players season after season, terrible planning with no clear strategy, an appalling scouting network and complete inability to even complete a routine signing of a player. They have failed miserably. They could not have done much worse if they tried. Adkins is not blameless (as so many of the last managers weren’t). His tactics, organisation, shape, fitness and the overall performances he is overseeing have been mostly unacceptable. Whilst I was one of those who advocated the removal of Clough and the hiring of Adkins; it has not worked. Another move that has failed. Easy to say in hindsight and most fans thought it was a good appointment but it is another one the board has got wrong. The side now and the state of the club is worse than it was when Clough was here. The performances are worse and I never thought I would say it but Adkins is worse than Clough on the evidence so far. I say so far, as of course I think most will probably say that Adkins will remain and given the summer too rebuild and hope he can make better signings than the ones he has so far. However, he is under pressure sadly and whilst it would be inconceivable to think we may change our manager again; the reality is if he got off to a poor start after given resources to bring new players in (we do not even know if that will happen) then he too will be gone. Yes, he has been left a lot of crap and yes he has been let down badly if he was promised signings and none have come on – I for one don’t believe for one minute that we did not sign anyone as there was no one better out there to improve the team. Even Adkins seems to be saying this less now. I think he identified targets and they decided not to sign anyone. They shut up shop. This is after saying for months that the next window was key and we needed to do business. So they are not only incompetent but they are liars. Phipps may come on the radio and ‘man up’ but I would have more respect if he said less and took more action. None of them are ever here, there is no evidence of what we are doing to try and get out of this division and his words are just empty rubbish I am afraid. Even he sounded a beaten man the other night. I do think him and the rest of the Saudi lot will move on soon. Just a gut feeling. I have said it for a few months but I get a feeling end of season will see them pull out. Then McCabe will have no choice but to put the club up for sale and I fear things may get worse before they get better. The biggest thing I took from the game was the complete apathy. It was another defeat, another limp performance and another boring afternoon. However what stood out to me most was in years past when we have reached a low point (we might be at one of lowest we ever have been considering what it means in terms of staying in the division for 5 years) there has been protests (red card/black card/car park, shoes etc), chants, committees set up (BIFA) and calls for arms. This time there was nothing. Many slinked out of the ground longbefore the end and you could not blame them. I stayed to the end and there were loud boos but never heard a negative chant or anything aimed at the board (key people were not there of course). It was complete and utter apathy. Even the fans don’t seem to care anymore – don’t mean that in a critical way. We all care but I think even as a fan base we are beaten in terms of what we can do. Not sure match boycotts are something I would ever think as a good think even though it drums up publicity and might make board sit up to some degree. The traditional car park killing grounds for manager and some boards does have some effect but not sure that would serve anything when none of them seem to bother coming – thought it was gutless that none showed up today and sums it up. So what do we do? What can wo do? That is something that will be debated on forums but as the season seems to be petering out to nothing then the club is perhaps at its lowest ebb in my lifetime. We as fans seem too have no alternative but to keep turning up and in short watching rubbish every week – although of course many at the end of the season may make a different choice. Wigan – Perfect away performance. Restricted us to maybe one or two shots on target all game of note and were never really threatened much. Other than Sharp having a shot wide and one saved and the Baxter chip, they were comfortable. They did not threaten too much themselves other than one sliced chance first half and it was an even game but as an away side they would have been content. Second half they came out and noticeable they played each compartment further up the pitch. They pressed us and turned the ball over quicker from United. After this they went forward with more pace and got midfielders in the box to support Grigg. They had a few darting runs that led to penalties and had far more penetration than us. They were not marvellous and did not blow United away but got the two goals and that was it. They saw the game out at a canter and could have had more. They have a few good young players and seem to have bought some players from League One and Two that improve them. The likes of Colclough and Davies would walk into our team. Two steady centre backs in Morgan and Pearce and then a lot of mobile midfielders that get up and down and cover full backs and defence as well as support the attack. Think they will catch Burton and win the league. Many said that would not happen but I will be surprised if they do not go up at least. Frustrating as they were not marvellous but did not have to be any more than solid and just have the spell they had to win the game. Opponent man of the match : A few stood out as good if not outstanding. Grigg showed Sammon how you can hold the ball up and work the channels, the new lad Morsy was busy and kept it simple but the loan lad Wildschut was the threat. He was in and around the penalty box and had a few good runs first half but then second half had a shot saved and won a penalty. He always looked a threat and one that looked to get on the ball and make things happen. Opponent Weak link : Daniels. I felt the full back looks clumsy and someone we could get at but only did this later on in the game. Most of the Wigan players were steady enough really and it was a workmanlike away performance that saw them deserve the three points.